We would like to invite you to come participate in the first annual K-M Scout Ranch Family Shooting Sports Day. This is event is for all family members and is a great opportunity for families to spend a weekend together. Scouts will be able to work on earning awards while other family members can hone their skills. What is included: Every registered participant will receive a box (25 rounds) of 12-gauge shotguns shells or 100 rounds of .22 ammo. Additional ammo can be purchased for more shooting fun! Targets and Clays will be provided for all ranges. You are welcome to bring your own ammo for other caliber guns. Meals: Camp will provide breakfast, lunch and dinner on Saturday and a continental breakfast on Sunday. Where to Sleep: Families are encouraged to bring their own RV’s, or tents to sleep in. We can provide a few tents for those that may need it. RV parking will not have power or water hookups. Bathrooms and showers will be available to all guests. 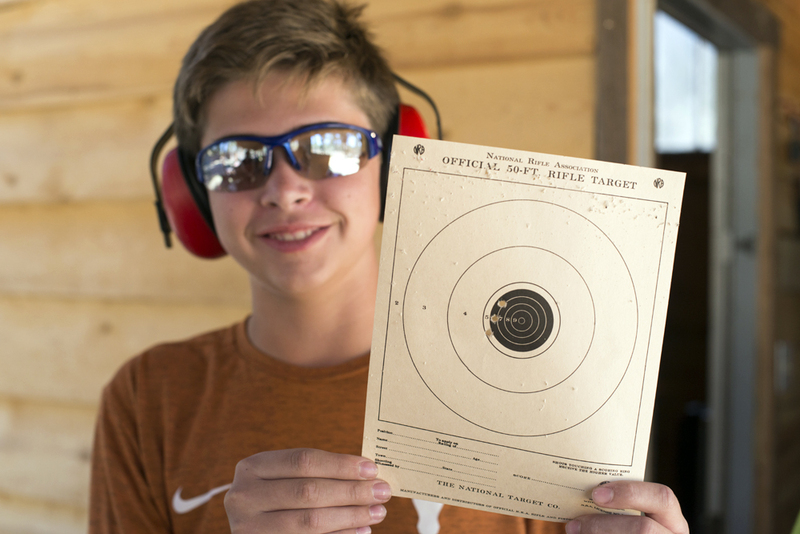 Activities: Activities will include Rifle Merit Badge Classes, Archery Merit Badge Classes, Shotgun Merit Badge Classes, Cub Shooting Awards for all three disciplines, Open Shotgun Shooting, Sporting Clays, Rifle Sighting, Archery Merit Badge Classes, and 3D Archery. How to register: You can go to https://montana.tentaroo.com to register online, or contact Michelle in the council service center at 406-761-6000.